Some women hate successful women, yet some men praise and aspire to be like successful men. For example, if Woman A is atractive or pretty in some way; if she’s successful or smart, or has some other quality that Woman B doesn’t have, then Woman A is a complete witch, and deserves the scorn and hatred of Woman B. Whereas if Man A is attractive or successful or has some talent or skill that Man B doesn’t have, Man B seems more inclined to idolize Man A, and aspire to be like him. I have no evidence to back this up whatsoever. I have tried to find articles or studies to show this strange anomoly between men and women, and I’ve come up with a whole lot of nothing. However, what’s the point of talking about this? What’s the big deal anyway? The point is to allow this example to help us understand ourselves. Because if you’re Man or Woman B, you likely need to consider how this affects your life in a very negative way. Here’s my take on this: Some women feel threatened by other women who have different, better, or other talents than they do. When this happens, they instinctively turn on these women who have other traits, and look to find ways to distance themselves from them. This could also allow for her to not be compared to other women who she percieves as “better than her,” and prevent her from being let down by others in the process. On the other hand, men tend to do one of two things: they are either really supportive, and out of some form of admiration aspire to be like men who are successful, or they tend to envy them in an unhealthy way, and as a result, might praise them to save face, but may hate them from within. See, in my opinion, the reason why we react the way we do to other people is because of the way we see ourselves. 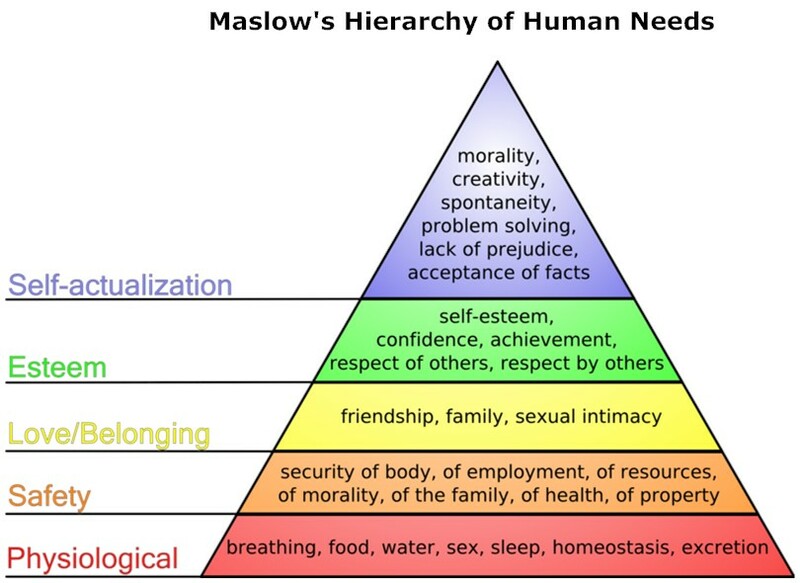 Abraham Maslow described this as the Hierarcy of Needs. Specifically, these issues tend to be somewhere between the Love/Belonging Needs and the Esteem Needs. So depending on the needs that you have at the time, could determine how you respond to people who come your way. But let’s take it a step further! What if you are one of these people? Is it a good idea to continue down this path? 1. Consider what you’re telling yourself about yourself in relation to others. What is causing you to want what they have? Think about where that’s coming from, and how that’s affecting your Emotions and Actions. 2. Live your own life, not someone else’s. How much time do you spend thinking about what it would be like to live someone else’s life? If you’re spending more than a few minutes, you’re spending too much time in fantasy land. Live your life and enjoy it. 3. What do you really want? Do you want someone else’s life, or a better version of your own? If you want a better version of your own, stop looking to other’s lives as examples, and start looking at how you can change your own life to have what you want. Granted, this isn’t therapy. Its your life, you do what you want…but consider how your attitude about others and about your self is affecting how you see yourself, and how its affecting your overall life enjoyment. What do you think? Has this ever happened to you? This is really interesting. As I was reading your article, I recognized that this goes beyond male/male and female/female relationships. In my last intimate realtionship, I was constantly dissatisfied with how poorly my girlfriend was “showing up” in life (according to me). It sounds horrible, but it’s not – she was constantly pissed off about something. As a result, I would try to help her change her perspective and try to see the world in what I thought was a healthier, better way. Unfortunately it didn’t exactly work out very well. I know I’m not supposed to be her therapist, but sometimes you do crazy things for the people you love. Anyways, not to ramble, but I realized when reading your article that my focus on how she was being in her life was radically impacting (and not in a good way) how I lived my own life. I grew progressively more frustrated and developed a stronger and stronger sense of helplessness (from not being able to help her). This led to depression and a kind of malaise about my own life. This is all 20/20 hindsight of course and I had no idea that this was going on at the time. Interesting stuff. Thanks! I am very interested in the statement about women being threatened by the successes of other women. And taking this a bit further, about the impact of a mother’s jealousy of her own daughter starting at an early age (the daughter’s — looks, social successes, etc.). Because a child cannot help but be “open” to her mother, it’s not possible to be any other way. And once she grows up and withdraws-leaves, guilt ensues. Because everyone considers her a bad daughter. When actually she was simply in survival mode. It’s really a horse of a different color, that one. Indeed! It is interesting to see how people process their family interactions and how those affect their perceptions of others. The mother-daughter dynamic is probably the first of these kinds of interactions that a woman engages in, and probably the one that sets the tone for the rest of her female intractions.